PKazimierz, Poland cemetery on All Saints Day. 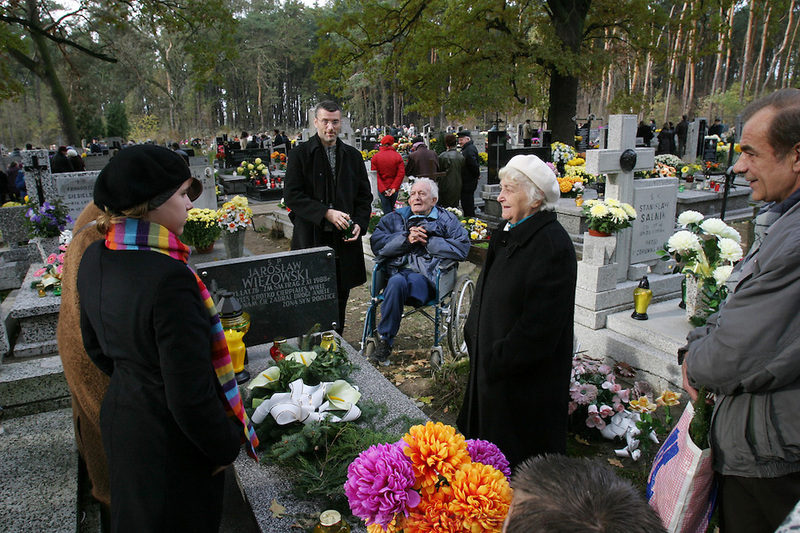 Wiezowski/Ledochowicz family visits relatives' graves. Borys is reunited with his dead father's brother, who has emotional problems and is in a wheelchair because he has one leg.